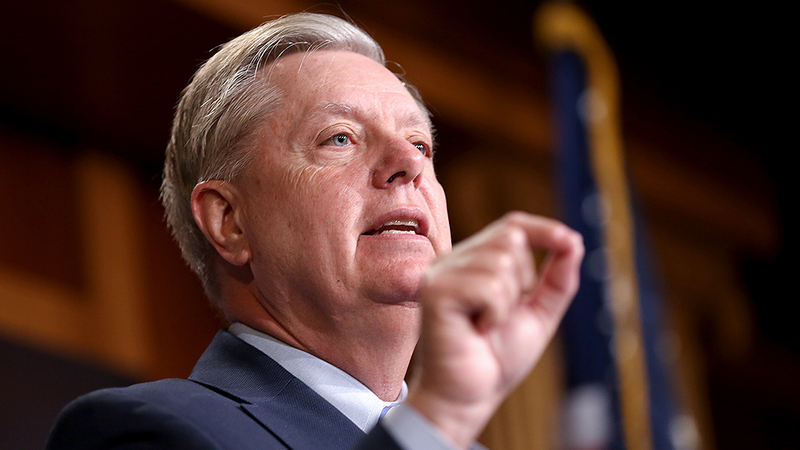 Sen. Lindsey Graham (R-S.C.) said Monday that he wants to probe a myriad of Obama-era scandals, including the handling of the Hillary Clinton email investigation, now that special counsel Robert Mueller's probe is complete. And now we have graham wanting to probe hillary and obama for things. How quickly Graham transformed before our eyes. Regarding the thread title: you either need to work on your phrasing, or be congratulated for it. Comey was fired. Even the left wanted his head on a pike after reopening the investigation. He made the call on the Hillary investigation. It should be reopened and reviewed at the very least. We’ve turned into a government of probes. Expect to see this for the rest of your life. The only issue I would like pursued is how the Steele Dossier impacted the FISA warrants and if fraud was used to obtain them. Unlike collusion…fraud is a clear crime and objective. Can you hypothesize an example of such fraud? Do you think it’s probable that such fraud would get past the judges in the 3 follow up applications? When the Mueller investigation was ongoing, an investigation of these topics would have been alleged to be obstruction. And if collusion had existed, then it would look foolish to delve too deeply into how people knew it. Now that it has been doubly shown (Senate report first) that there was no collusion, and that facts do not back up the allegations, we need to find out why this tied down the country for two years. Who started this attack on our system, and were there laws broken when they did so? The fake dossier is the obvious place to start…now discredited and proven to be paid for by the DNC. Any related crimes should, of course, be prosecuted. It is easy to understand how misrepresented or manipulated evidence and testimony could be signed off repeatedly. Repeatedly fooling someone with fraud hardly validates it. This thread title is clickbait!! Not to mention the international and even Russian connections…unless of course Mueller covered this in his report. What would an example of such fraud be with the info we have? Indulge me. …using the exact same methodology as applied to Trump. Wow…we’re on the same page. Wasn’t that the whole point of the IG? The dossier still isn’t fake Doug. There is quite a bit of it that has been corroborated and proven true. No matter how many times you inaccurately throw this accusation around, it will not make it any more true. Not that the truth seems to matter much.